On this classic Linssen Dutch Sturdy 380 AC Twin (our "Marion") with its generously dimensioned interior, you will find all the comfort you need for long journeys. 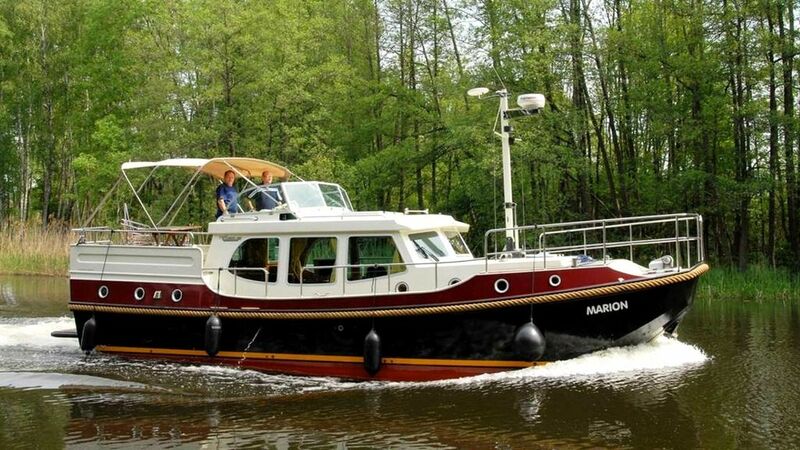 The Marion is equipped with two engines and two control stations. Engine: 2 x Volvo Penta turbo diesel, Power: 2 x 75 hp, Length: 11.50 m, Width: 3.95 m, Draft: 1.20 m, Headroom: 3.60 m, Diesel tank: 2 x 350 l, Water tank: 2 x 220 l, waste water tank: 220 l, 5 persons + 2 pers. possible by extra bed in the lounge.